The new refuse bin arrived today, and will be emptied every Tuesday. We also have a blue recycling bin which will be emptied every fortnight. We kindly ask all boaters to recycle their waste as much as possible please. 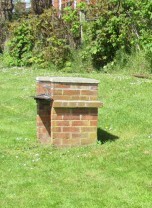 The brick barbeque has now been renovated and is ready for use by all.